Austin Dwyer is a Fellow and past president of the Puget Sound Group of NW Painters. 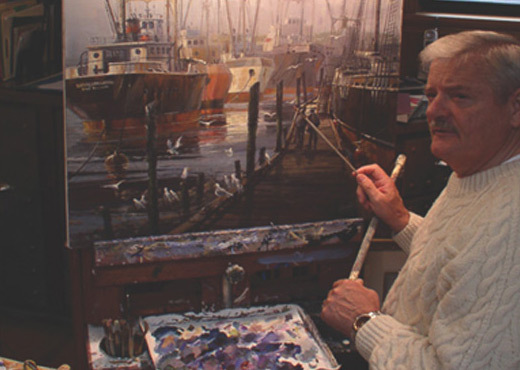 He is also a signature member of the American Society of Marine Artists and member of the Board of Directors. He was born in County Tipperary, Ireland. His travels brought him to the United States where he joined the USAF. After being discharged in 1961, he arrived in Seattle a proud American Citizen. He studied at the Burnley School of Professional Art in Seattle and after graduation co-founded Cohen-Dwyer Advertising and Marketing. Austin also taught Illustration and Design at the Burnley school for 14 years. 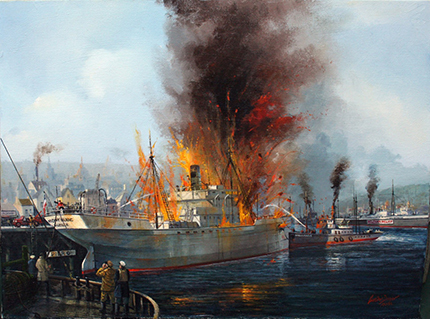 He retired in 2005 from Cohen-Dwyer Advertising and Marketing in Seattle and During that period, he continued to promote his maritime paintings which are now in galleries and private institutions throughout the United States and Europe. He recently founded, with his co-founder C.R. Bryant, the Pacific Rim Institute of Marine Art. 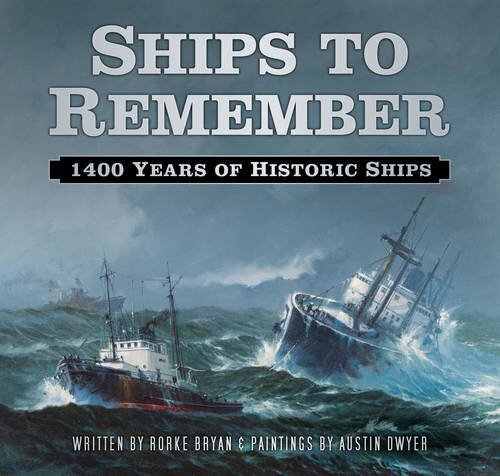 Ships to Remember: 1400 Years of Historic Ships is now available through Amazon.com. Tugboats to Remember: And Illustrated Collection of Tugboats to Remember.